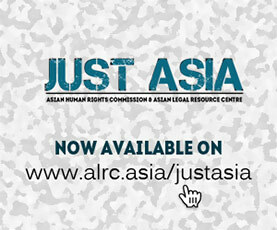 The Asian Legal Resource Centre (ALRC) appreciates the March 10 speech of the UN High Commissioner for Human Rights Zeid Ra’ad Al Hussein. He has urged the Nepal government to speed up the transitional justice process as per international standards, and conduct full and impartial investigation into the violence in Nepal’s Terai. The words are welcome, but insufficient. Nepal has rejected 29 human rights recommendations made during the 23rd Universal Periodic Review Session, including the conventions directly related to transitional justice. Of the 29 recommendations, Nepal flatly refused to ratify the Optional Protocol to the Convention against Torture, International Convention for the Protection of All Persons from Enforced Disappearance, and the Rome Statute of the International Criminal Court. The en-masse rejection shows Nepal’s stated commitment to protection and promotion of human rights at international forums to be a lie. The volte-face must be pointed out; the State must be urged to follow through on prior commitments. Nepal has argued that the promulgation of its Constitution is a landmark effort to end discrimination, such as caste and untouchability. As the Caste-based Discrimination and Untouchability Act is a paper tiger, the constitutional guarantee of Dalit rights depends on laws to be formulated within the next 3 years. But, laws are only a mirage in a dysfunctional justice system that needs radical re-engineering. Major factors in rising violence and police impunity in Terai are medieval policing and dysfunctional justice institutions. Likewise, without robust criminal justice institutional mechanisms and modern policing there is no hope for the transitional justice process reaching its logical conclusion. Has the High Commissioner – or any delegates in the UPR – addressed the rethinking and fundamental redesigning of justice institutions in Nepal? Until this is raised at such a forum, victims of police torture, conflict, violence, and caste-based discrimination are never going to get justice in Nepal.